The Pantone colour of the year is Greenery. Some people are funny about wearing the colour green but I’ve always loved it. Green to me means clean, fresh, vibrant. There are so many different shades of green to choose from. It doesn’t need to be the bright lime-like “Greenery”, deep emerald or mossy green are great alternatives. Green Wiggle Dress Size Medium Handbag and shoes not for sale. This dress sold minutes after I listed it in my Etsy store. You snooze…you lose. 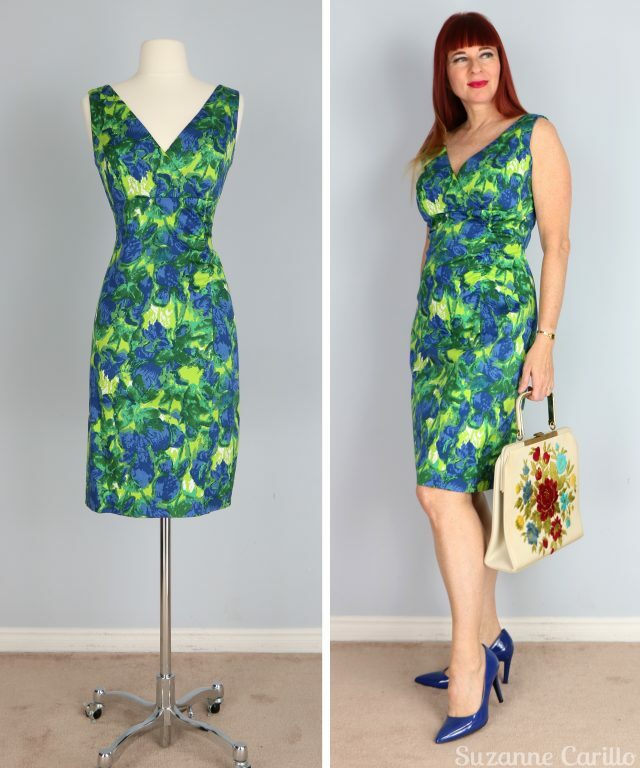 Green Blue Shift Dress Size S-M Green Vintage Style Dress Not For Sale…yet. All items above thrifted or consignment, not for sale. Just chillin’ wearing green in my boudoir wondering where my man servant has gotten off to. He should be feeding me chocolate bonbons while his friend rubs vanilla scented cream on my feet right now. It is so hard to get good help I find. 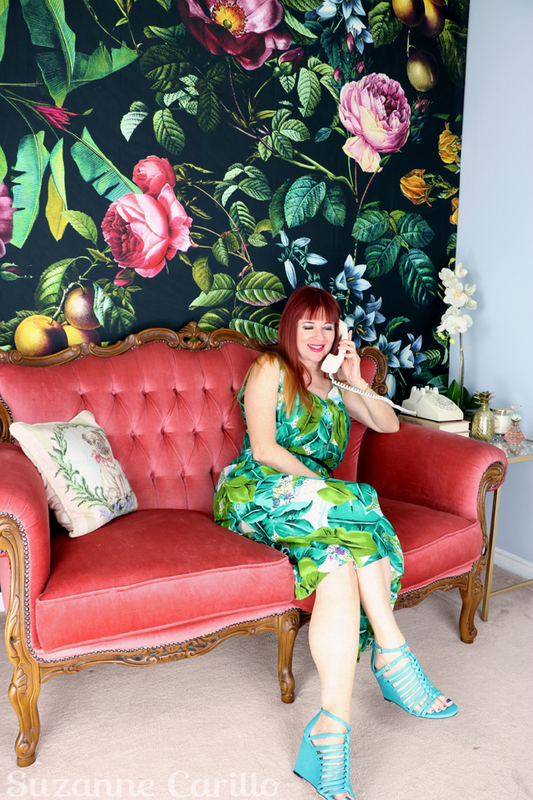 Here I am on the phone telling my girlfriend about my man servant problems and deciding that this dress looks too good to sell. Delisted as of today! There is no secret to wearing green. Everyone can find a tone of green that will suit them. Play around and see if you need a blue based green or a yellow based green or a grey based green. It’s not a magic trick. It’s just trying something next to your face to see if it makes you look like you want to hurl or you’re just back fresh faced from a day at the spa or a vacation. Of course there are always other ways to add green to your outfit without wearing it. Accessories can be an easy way to add a trendy colour. A pop of green would make Kermit happy. I’m drooling over that first bag and boots. Do you like wearing green? I have to admit that green is my second fave color after yellow!! I usually like the brighter shades, but really they all do it for me. In fact, in our other house, our master bedroom was painted a dark green–I thought it was very soothing!! And you have quite the selection of green items, Suzanne!! 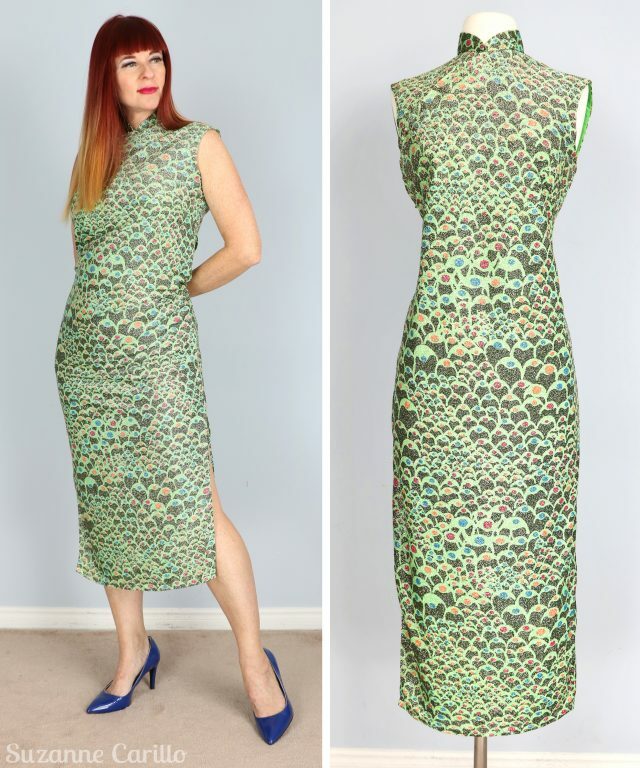 Not that I need another dress in my possession, but I am lusting after that green vintage style dress that is not for sale…yet! I love green but have realised of late that I don’t wear enough of it. It’s one of those colours that I have to pick and choose shades of. Apple, forest, emerald, all gorgeous on me, olive, sage, khaki, um… not so gorgeous. No wonder you delisted that dress. It’s utterly divine! Tell me about it. You just can’t get the staff these days! Oh my goodness Suzanne! What an amazing collection of green gorgeousness!! 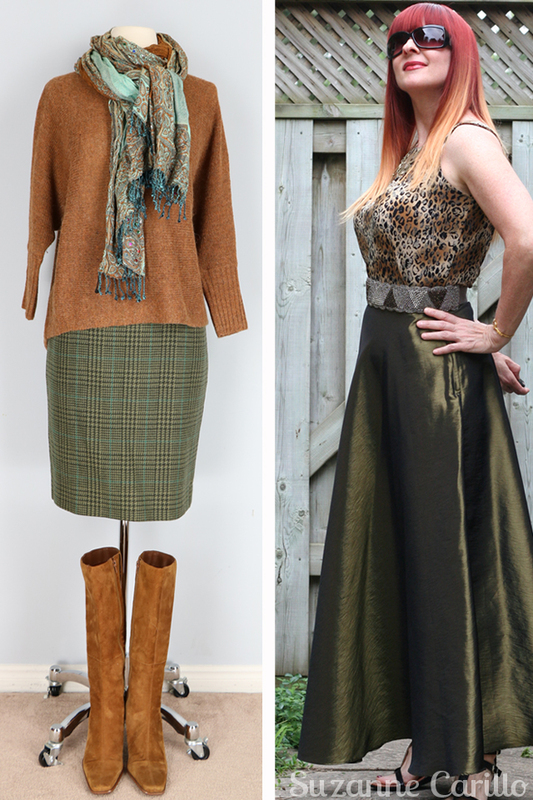 I’m always taken aback by the sheer number of beautiful ensembles you put together (compared to the offerings of other fashion bloggers but I guess that’s largely because of your Etsy shop. It’s still an incredible amount of amazing styling offerings. I love green and you’re so right that there is a shade for everyone. YOU my dear appear to look great in most of them!! Your red and golden tresses are complimented by so many green hues! Some fabulous outfits here, Suzanne. You look so lovely in green, with your coloring. I’m not opposed to wearing green, but I don’t seem to have a lot of it in my closet. 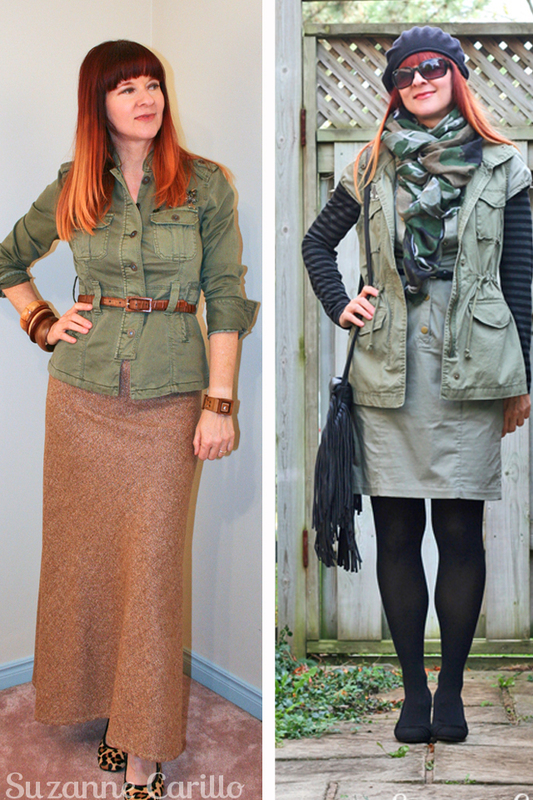 What I do have is mostly olive green. I probably need to rectify that! My favorite tone is indeed the new Greenery – a light, yellowish Green, but not too “Yellow”. I love your look on the sofa with this beautiful dress, I love the combination of the 2 greens – yellow green and turquoise. Matching very pretty with your beautiful hair!!! 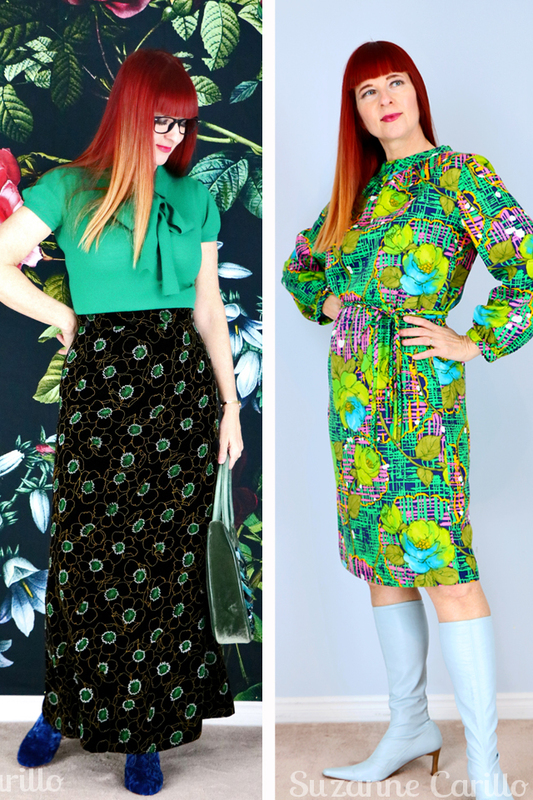 I have lots of green -it’s probably my favourite colour (I’m keen on lilac too but you can hardly ever get it….keep an eye out when you’re at vintage fairs!). The shades that suit me best are kelly green and pistachio. I have always been a fan of green, and you display so many fabulous examples of how to wear this intriguing color. All with your wicked sense of humor. Brava! 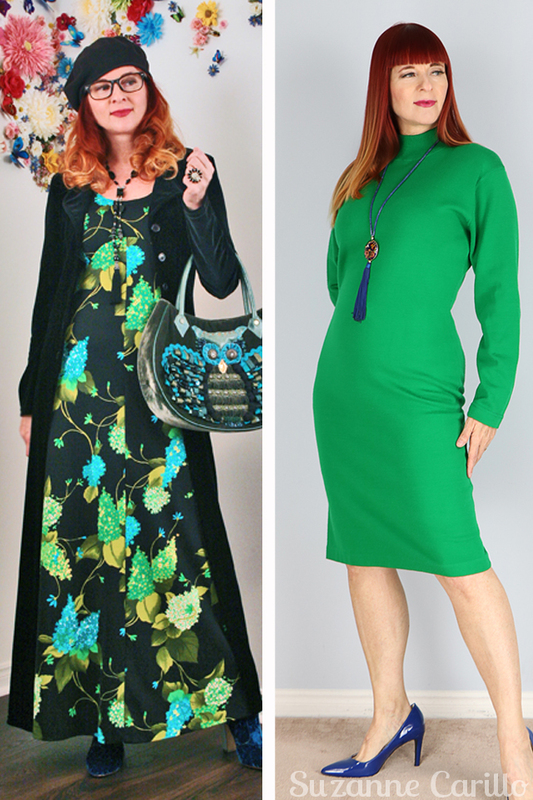 So beautiful, every look is fantastic – I love green! The dress that is not for sale – yet, like you said, is lovely and the bag you wore with it is fabulous! 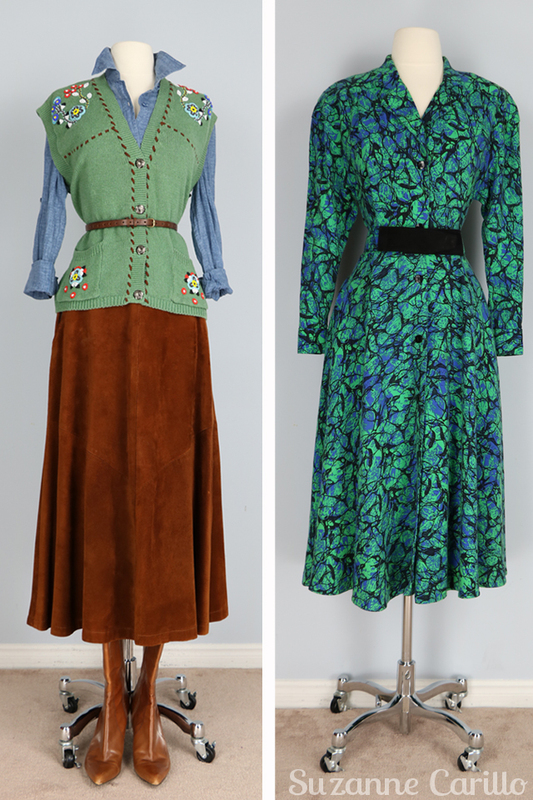 I also loved the green embroidered vest, dear Suzanne! Hope you have a lovely day! Some greens are bloody fabulous – especially emerald and limes. I had to wear bottle green for school and still loathe it. *sigh* I love looking at you wearing clothes. Your style, your natural shape are perfect and so appealing. If I’m being honest, I live vicariously through your fashion adventures. Keep ’em coming! I own one green dress: A striped sporty tennis dress looking thing. I never wear it in public. Oh I have worn it as an underdress before though so kind of. Meh. I like green too. I don’t know why I never buy it. All these heavenly shades green, brilliant! Love the camo nix to the tropical print, you covered every shade and made me want it all! Okay, I think you missed a shade of green. Laughing, kidding of course. There’re ALL here. Great demonstration of how everyone can wear this colour in one of its many variants. Stellar photos on the couch! Stellar!! I’ll send Fabio over right after he finishes baking. He’s the best! I love wearing green. Just as much as reds. Teal is a bit difficult with me and mint green too. But other than that… bring them on baby. The first and second dresses are my favourite on you. So cleaver to pair it with blue shoes. Green is definitely your friend Suzanne. I absolutely love the tropical print dress and wedges! You look gorgeous in every shade of green; I think that our coloring lends itself to playing nice with green. I tend to lean towards olive, which is one of my favorites although I don’t own much in other shades of green. Green is obviously one of your colours – all the shades look good with your hair and skin colour. I used to wear green more often when my hair was red. I have a couple of pieces in Khaki that I like, but I don’t think I’ll be wearing the Pantone colour of the year. You do realize that since reading this post of yours last week I can’t stop thinking about green? I see it everywhere I look now–and that’s not a bad thing! I especially love the vibrant green colors on you, but they all look great! really inspiring post!, now I feel encouraged to wear lots of jungle prints and greenery, khaki, lime-green!! 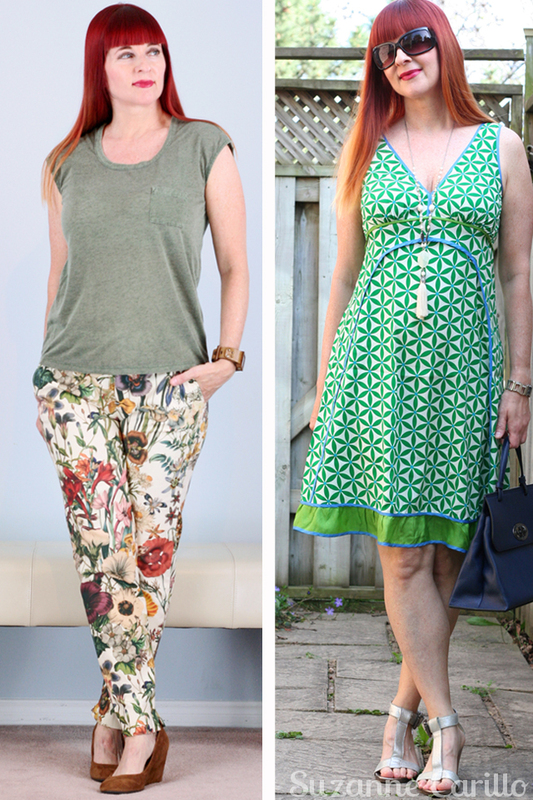 I love to see you wearing all those fabulous prints and colors! 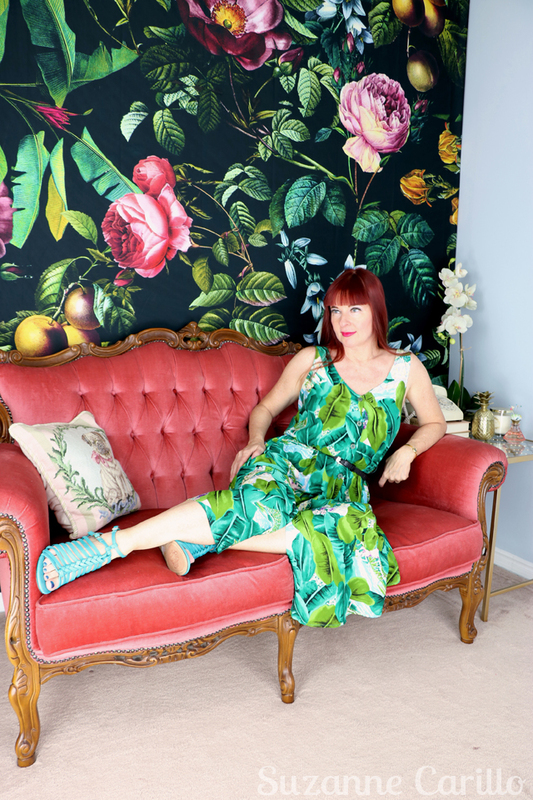 just seen this picture on this month’s How I Wear My Pantone’s Greenery. Once again, such a great look you chose. Green is definitely one of my favourite colours and yours too by the looks of it Suzanne. 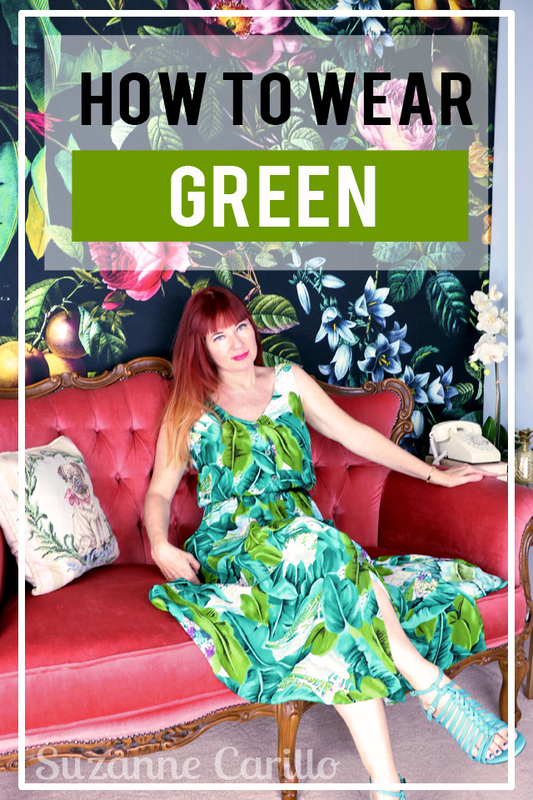 I’ve just posted a green outfit on my blog today and missed a trick by not calling it my homage to this year’s Pantone choice! Green and orange are my most vibrant combination, so perhaps I need to feature that next time. Did I read that you’re heading off to China? Hope you have a wonderful trip!